Sydney Opera House, August 19. LET’S not talk in the past tense about Sylvie Guillem. She may be on her farewell tour but she is still one of the greatest of the greats. Until December, when she calls it quits, she is still a dancer and still a superstar. At 50 she leaves the stage on her own terms with an intensely personal program that shows her as she is now, a peerless exponent of works by some of contemporary ballet’s biggest names. Not for Guillem a nostalgic look back to her storied classical career. That was then. It’s enough that she is known as the most daring, searching and original ballerina of her generation, one whose astounding physical gifts and ferocious individuality were a game-changer in the art. Not many dancers would announce their retirement by appearing in premieres but Guillem is exploring possibilities to the end. There are two new works and one favourite for her on the Life in Progress bill, which opens with the solo technê by Akram Khan. The title refers to skill or art and Guillem is seen in all her mysterious majesty, whether scuttling insect-like, pawing the ground with those magnificent legs and feet or circumnavigating a circle of light as her body twists around itself: wheels within wheels. There is thunder in the air, a gauzy tree in the centre to which she is inexorably drawn and a strong sense of the numinous. It’s a wonderful work, performed with the luxury of three musicians on stage with Guillem. Russell Maliphant’s Here & After, also new, sees Guillem for the first time in a duo for two women. It presents Guillem’s qualities of thoroughbred line, whipping and slicing legs and elegant wit so no complaints, even if it’s one of Maliphant’s less substantial works. La Scala soloist Emanuela Montanari is Guillem’s partner, inevitably outshone. 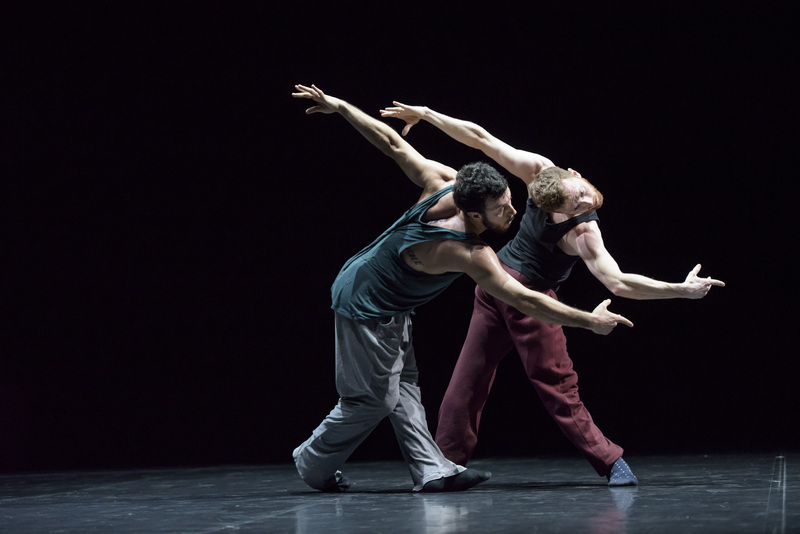 William Forsythe’s Duo2015 (originally from 1996) gives Guillem a break while giving a nod to the choreographer’s place in her legend. In 1987 he made In the middle, somewhat elevated for Paris Opera Ballet and exploited Guillem’s explosive strength, awe-inspiring elasticity and supreme elegance. It made a sensation. Duo2015 is a riveting, sinewy pas de deux for two men (Brigel Gjoka and Riley Watts, both thrilling) who don’t touch but can’t seem to part. It has something of the eternal quality of Waiting for Godot. Nothing and everything happens. Guillem returns to Mats Ek’s Bye (2011) as her finale (it was part of her 6000 Miles Away program, seen in Sydney in 2013). In this context Bye feels weightier than before as ordinary life, seen through a doorway, exerts its pull. Guillem is seen at her least glamorous and most vulnerable in this wry, unsentimental exit. But then Guillem has never done things like anyone else, including signing off. Life in Progress ends in Tokyo on December 20 but during that month Guillem also joins her beloved Tokyo Ballet for a touring program that includes Maurice Béjart’s popular Boléro. Guillem’s website lists Hiroshima on December 28 as her last performance but I am told – thank you Naomi from Tokyo! – that there will also be a performance on December 30 in Yokohama. And a further update. Unfortunately I wasn’t able to see Guillem in conversation today at the Sydney Opera House but I am reliably told she said she will exit with Boléro in Tokyo just before the stroke of midnight. That, I have to assume, will be on December 31, seconds before her final year in dance ends. Spectacular. What a way to go, the dancer on a table – in the middle, somewhat elevated we might say – responding to Ravel’s increasingly ecstatic music as a circle of adoring men pays homage. Life in Progress ends at the Sydney Opera House on Tuesday. It then travels to Birmingham, Paris, Taipei, Beijing, Singapore, Shanghai, New York, St Pölten (Austria) and Tokyo. A version of this review appeared in The Australian on August 21.